Proud to be Emotional Code Certified Practitioner!!! Helping People to be Free of Disturbing Trapped Emotions!!! Helping One Person at a Time!!! Healing of the Future is Energy Healing !!! The World’s scientific community agrees that everything in the Universe is comprised of Energy and that the Energy System is Consciousness. We're becoming increasingly aware of internal and external energy, its qualities, and the principles by which it functions — frequency, vibration, resonance, waves, oscillation, cycles, octaves and spectrums. We're discovering that these concepts are at the heart of the newest techniques for knowing, doing and having everything. Your personal vibration — the frequency of energy you hold moment by moment in your Body, Mind and Emotions — is the most important tool you have for creating and living your ideal life. If your energy frequency is high, fast and clear, life unfolds effortlessly and in alignment with your destiny, while a lower, slower and more distorted frequency begets a life of snags and disappointments. Dr. David Hawkins, author of the book titled “Power Vs Force” explains that everything is energy and everything has a frequency. This includes our emotions. Ideally we would like to be at the highest vibrational frequency rate possible - 500- 1000 Hz, this is where Love, Joy, and Happiness vibrate﻿. Emotions such as Shame and Grief have the lowest vibrational frequency rate ﻿ 20-30 Hz. With this concept, it is possible to understand the havoc that emotions can cause within the body. A new holistic/alternative therapy had been created by Dr. Brad Nelson called “Emotional Code”!!! “In short, the Emotion Code is the simplest, easiest, and fastest method ever devised to find emotional baggage using kinesiology or muscle testing and magnets. 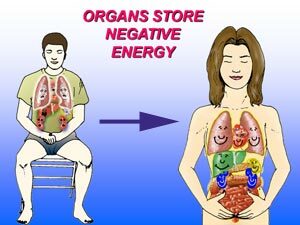 Magnets emit pure energy and are a powerful tool to fix energetic imbalances that you cannot see and release these distractive, unhealthy emotions. Our emotional baggage consists of actual energies, the energies of intense emotional events that we’ve experienced that are still stuck in our physical bodies. These energies distort the normal energy field of the body, creating pain, malfunction, all manners of diseases, and even cancer. In addition, these energies (trapped emotions) are the driving force behind Post-Traumatic Stress Disorder (PTSD), Attention Deficit Disorder (ADD), Depression, Anxiety, Phobias, Panic attacks and many other manners of mental illnesses”. “Inherited Trapped Emotions are those emotions which we receive upon conception from our biological parents, as our parents received these Inherited Trapped Emotions (ITE) from their parents and the ancestry goes on and on and on! A lot of us have carried our ancestor’s ITE for 50 – 80 years of age and more. On many occasions, as I clear the ITE of my clients, who have children, sometimes the children also get cleared of these ITE. An interesting study was presented in Dr. Hamer's article called "Biological Conflicts". He suggests that inherited diseases are a matter of passed on experiences from our ancestors ... memories. These memories were created out of unexpected or stressful situations that overwhelmed the "whole organism". This theory is called the "Epigeneric Theory". We would interpret this concept as manifestation of the trapped emotions that the body was unable to process completely and which were passed on to their children. What happens to an Inherited Trapped Emotion when it is released? When the ITE is released, it is also released from the lineage of the ITE's. In other words, everyone that is tied directly to that ITE lineally also has the ITE released from them ... even though they may be dead. Experience the Magic of the Emotional Code !!! 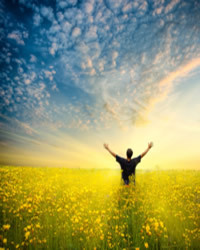 Gain a new sense of physical, mental, and emotional freedom? Let go of the emotional baggage that's holding you back? Step in a life of joy, ease and mastery? Live the life you were meant to live, and be the person you want to be? Working with the Emotion Code is a simple process that requires nothing more of you other than to be Open-Minded - even just a Little!!! The benefits of this work are infinite and include everything from the elimination of chronic pain, increased peace, creativity and satisfaction in your life, to experiencing surprising transformation in areas of your life that you thought could never improve (relationships, job opportunities, finances, etc.). Whether it's a particular physical issue you are struggling with, a general feeling of unhappiness, guilt, anger, jealousy, dissatisfaction, or any other emotion dominating your life, or whether you feel you have difficulty expressing or receiving love (see page "Your Beautiful Heart﻿"), we will use each session to work on the presenting issue and release as much of your emotional baggage as we can in the time scheduled. This is usually anywhere from 5-9 emotions - depending on how much information we need to uncover each of them. It's possible that to resolve one issue it could take just one emotion to be released but it could also take several. Every Situation and Person is Unique!!! As each emotion is identified, you will most likely recall a specific memory attached to it. There is no need to relive the emotion - simply having awareness of it will be sufficient to be ready to release it. The process can be transformative for you to such a degree that people may not even recognize you anymore because you seem so much more at peace, or it can happen so subtly that you can almost forget that you ever felt any different. By Phone: 510-599-6930. Please call or send a text message﻿, thank you!!! Energy does not have Time & Space!!! Distance Healing can be Performed﻿!!! A typical session can be from 30 to 50 min. 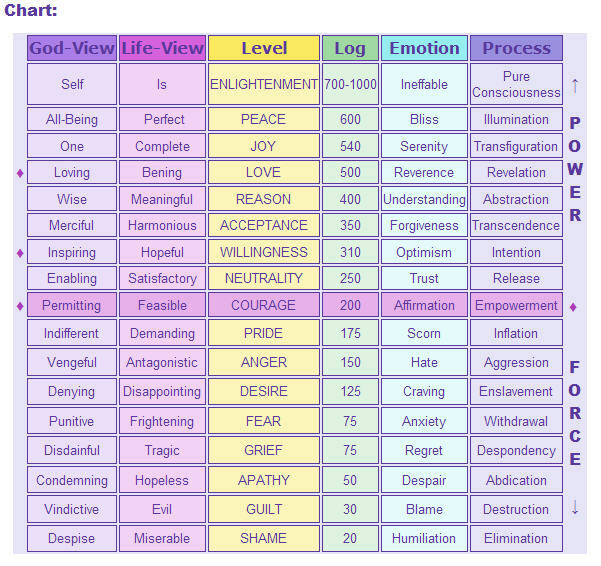 where 5-9 trapped emotions or imbalances are identified, released and corrected. A few days of processing will follow the release of trapped emotions and other energies. It is possible that you may have some symptoms of this, such as emotional ups and downs, vivid dreams, or a bit of fatigue. Every person’s experience is different. If you do notice anything like this, don't worry, it's just part of the healing process and shouldn't last for more than a day or two. The body can be compared to an onion where there are many layers to peel back before completely clearing. This is an indication that there are more release sessions needed. It’s normal, natural body’s response to adjust and heal itself. "I've known Tatiana for several years now and she is such an amazing person. Not only does she do exceptionally well as a massage therapist, but she is a wonderful human being. She is very passionate in what she does and provides quality work and you can definitely feel it in her touch as well as being in her presence. Recently, I have done a Emotional Healing session with her and at first admittedly I was skeptical about how it works, but she provided me with information on what it is, how it works and heals the body and the after affects of the process. During the session it helped me release a lot of stored issues that I have buried and did not want to address, but Tatiana, in her caring way, coached me through letting go with the use of her magnets. Afterwards, I felt as if a weight of heavy emotions have been let off of me. A week later I feel amazing!!! "Being a scientist, and a man of advanced age with a variety of life experiences, I was very skeptical when Tatiana suggested that I would take an Emotional Healing session to identify if I had any negative emotions trapped in my body. I was surprised to learn what kind of trapped emotions she identified, but thinking about it I realized that I really was a worrier to the point that I may even have had anxiety attacks, especially if I thought that something bad was happening with my children or grandchildren. After explaining these findings Tatiana used magnets to release my trapped emotions. Initially I did not feel any difference right after the session. But my stress level and worrying drastically decreased the next day. At the scale of 1-10, was 8-9 before session and I became 2-3 after the session. As time went by I felt lighter, more at ease with myself, more confident that I could handle stressful situations, and now my worries would not affect me as they used to. The whole process sounds and feels like a magic, but it is the truth. Now I am a believer in a power of alternative energy healing and in Tatiana's abilities to release the trapped emotions and stress"